Australian Fashion production a leader and specialist in producing fashion events and productions, bringing 30 years of expertise. The team travels internationally to New York, Paris, Milan and London, immersing in the Life Of Fashion. Delivering creative and Innovative fashion productions in either intimate or grand scale events. We deliver the smallest fashion workshop to a full scale production including stage, sound, choreography, co-ordination, Fashion Stylists, Creative artists and Models. A personalised package can be accommodated to suit your budget and requirements. Australian Fashion Productions produce shows for Shopping Centre, designers, kids fashion and dance shows. Specialising in Bridal fashion productions both locally and interstate. Pam Tamblyn is one of the best in her field, she is absolutely captivating. She has many years of experience as a radio presenter, television personality and as a professional speaker, Pam Tamblyn is an absolute professional. Pam is sort after as a professional speaker and presenter for fashion and corporate events like the HIA Awards, RAQ Awards, Mater Hospital, many Fashion workshops, shows and events. We hired Australian Fashion Productions for fashion parades that we did at The High Tea Parties in 2012, 2013, 2015 and 2017 across Australia. We are so grateful to AFP for their expertise in making it all happen - the parades were so professionally choreographed and successful. The Paddington 4064 Business Group inaugurated the Lights of Paddington fashion event in 2016. We hired Australian Fashion Productions who used Tamblyn Models for the parade and choreography. We could not have bene happier with the professionalism and dedication of AFP in making our night a success. Needless to say, we hired AFP again in 2017 and, of course, we will continue to do so in the future, without hesitation. As the Chair of Paddington 4064, I cannot recommend them highly enough. Your Local Wedding Guide has worked with Australian Fashion Productions for over fifteen years. 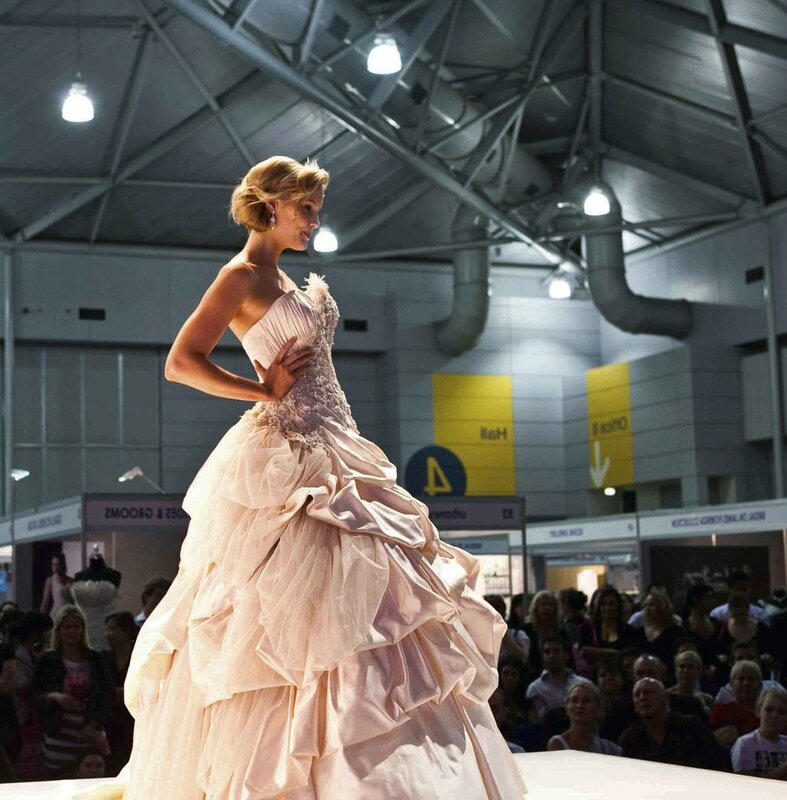 Australian Fashion Productions have been instrumental in the success and popularity of our Designer Fashion Parades at each of our Major Wedding Expos in Brisbane, Gold Coast, Sunshine Coast, Canberra and previously, Melbourne. Providing quality production choreography and models throughout Australia, they can be relied upon to provide and deliver the total package. With our busy Expos, we have been fortunate to be able to work with a company such as Australian Fashion Productions, who are willing and able to take control of the Fashion Parades and deliver a professional parade each time. Thank you immensely for hosting such a lovely Mother’s Day workshop on Saturday. The presenters were outstanding and I took away new knowledge that I have already starting incorporating this week. Last night in Melbourne I caught up with my 34 yr. old Younger brother who for the first time in my life said – “you are looking great young Marla” – I was quite surprised! Fun aside – it has made a difference! Another take-away – grace – both you and Robin reminded me of the importance of grace - In style, behaviour and values.